(Left to Right): unknown, unknown, Arthur Bloomfield, William Rogers, Charles Bloomfield. 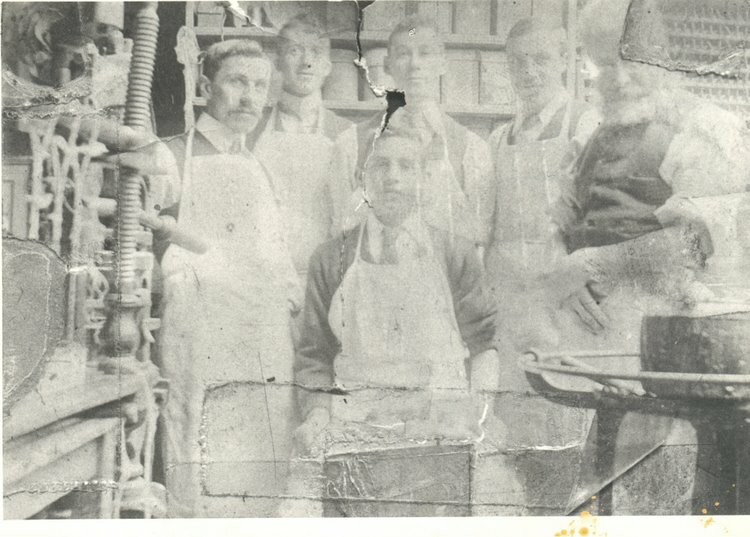 The bearded man on the far right is also a Bloomfield and was the finisher in the bindery. Tim Wiltshire employed Arthur Bloomfield's son, Ted, when he first took over the bindery.